2018 has been a lucky year for me full of wonderful design, family and travel. I was very fortunate to visit one of my favourite places twice in one year – Bali. My most recent trip was a retreat which included 11 amazing, inspiring and just all-round beautiful women. During one slow and balmy lunch we were having an in-depth discussion about our love for the island and as one insightful lady put it ‘people who say they don’t like Bali either haven’t been here or haven’t done it properly’. I concur. Forget Bintang, Kuta, clubs and Aussies behaving badly. Scratch the surface and Bali is an island with soul, beauty and creativity in abundance. Whenever I am lucky enough to be there I feel myself physically uncoil and give in to the energy. There is so much choice and as much or as little to do as you feel you need. Head for the rainforests of Ubud and submerse yourself in divine healthy food and yoga, or get into Seminyak for something more intense and make the most of the vibrant surrounds (don’t get me started on the restaurants and their fit outs … that’s a whole other post). For a happy medium check out the Canggu area which is blossoming with the latest hip and happening restaurants, clothes and homewares stores, though still quiet enough to escape the craziness of the busier areas. 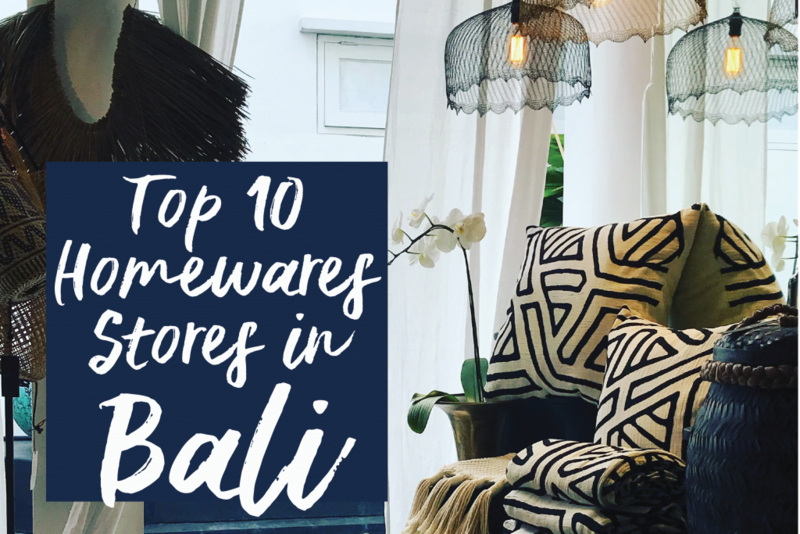 Of course, whenever I am in Bali, I make a beeline for the homewares stores that are overflowing with pieces of beauty and originality. Following is a list of my top ten (in no particular order) go to stores whenever I am there, but hey, don’t discount the markets either. 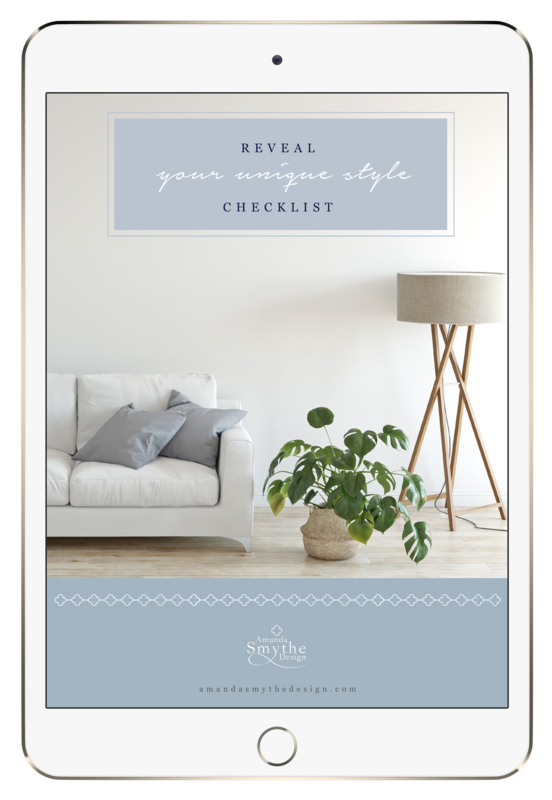 If you’re after a beaded chandelier or macramé wall-hanging you’ll be spoilt for choice for a fraction of the cost of what you’d pay at home. Keep your eyes open and you never know what you might find. Step into this renovated Dutch Colonial building for a complete sensory overload. The interior design of the store itself is enough to send homewares addicts into meltdown. Take your time (leave the kids with Dad) and bask in the airy surrounds and slowly browse the multitude of products on offer from everything from light fittings to salt and pepper shakers. Once you’ve had your fill, stop in at the café for some heavenly food and coffee. Think dreamy muted hues of neutrals and pinks topped with textural linens and a multitude of homewares on offer. You can find everything from cushions to jewellery and if you’re decking out a room for your little ones look no further. Snaffle some gorgeous offerings to make your child’s bedroom truly unique. Look out for sumptuous homewares with a French twist. The collection at Mercredi Bali Boutique draws inspiration from the tropical colours of Bali with vibrant shades of green and blue, echoed in its throw pillows and blankets. Mercredi Bali Boutique now has branch outlets in front of Metis Restaurant in Petitenget and in Ubud, besides its original gallery in Seminyak. Kevala boutique stoneware ceramics are designed and made completely by hand and are all original designs. The creations are highly individual and draw inspiration from nature. Pick up pieces here that you won’t find on the shelves at home, in hues ranging from earthy neutrals to muted blues and pastels. Think of Souq as a destination rather than a store. Combining traditional with contemporary design. Here you can find a heady mix of jewellery, clothes and homewares from all over the world. Grab yourself a coffee or freshly squeezed juice whilst browsing the racks. A must see on the Bali homewares trail. Bungalow Living is bursting with boho beauty and stocks a huge array of products from macramé wall hangings, throws and furniture to clutches and bags. You won’t be able to go past the vast array of handmade linen and cotton cushions that are all designed and made in Bali. One of the larger store offerings, it is nonetheless worth a visit. The showrooms are an experience in themselves with a strong focus on Hamptons and French style pieces. Visit one of four stunning destination showrooms and experience the elegant handcrafted furniture. The showrooms feature many selections from Colonial Furniture’s line of solid teak wood and mahogany fine furnishings plus a select group of furniture and accessories from other quality-oriented manufacturers. With offerings from formal and traditional designs to informal and casual stylings. HOBO Bali is a bohemian home décor store with outlets located in Seminyak and Kerobokan. The store offers unique furniture and home accessories with a focus on environmental sustainability and supporting local communities. All products are made locally in Indonesia using natural materials native to the region. The overall aesthetic of HOBO is bohemian and modern. If you’re a Hamptons lover like me, get yourself here quick smart. Entering the huge two storey flagship store is a heavenly journey into Hamptons meets rustic chic. Beyond Borders create and produce everything in the store themselves meaning all pieces are unique. In addition to larger pieces, they stock the pillow cases, throws, frames, candles, trays, art, bedside lamps, vases, placemats, candleholders, rugs, baskets and much more. Let your imagination run wild and go home with your whole house newly decorated! If you want to mix your Hamptons décor with a splash of tropical chic, look no further than Carga. Carga is a boutique gallery full of colourful gift ideas and chic homewares. Great for those last minutes presents for loved ones back home as well as some quirky furniture and items to order. Even if you don’t purchase it’s well worth a visit for the life-sized palm tree carved out of wood.